Romans 8:28 — We know that in all things God works for the good of those who love him, who have been called according to his purpose. When it comes to my heavenly Father, I’m not much different from my daughter. Every once in a while, I’ll crawl into His lap and let Him speak to me through the scriptures – words which are “breathed out by Him” (II Timothy 3:16). And I’ll occasionally humble myself in prayer – even getting quiet – long enough to sense, deep in my spirit, that He is there, “rejoicing over me with singing” (Zephaniah 3:17). Before long, though, no matter how deep the revelation or how tangible His presence, I’m squirming again. I’m sure He would like me to keep listening to His words, to listen to His ‘love song’ – but I’ve got toys to play with, texts to send, and traffic lights to count. II Timothy 3:14-17 — Continue in what you have learned and firmly believed, knowing from whom you learned it, and how from childhood you have known the sacred writings that are able to instruct you for salvation through faith in Christ Jesus. All scripture is inspired by God and is useful for teaching, for reproof, for correction, and for training in righteousness, so that everyone who belongs to God may be proficient, equipped for every good work. Zephaniah 3:17 — The Lord, your God, is in your midst… He will rejoice over you with gladness, he will renew you in his love; he will exult over you with loud singing. Psalm 95:6-7 — O come, let us worship and bow down, let us kneel before the Lord, our Maker! For he is our God, and we are the people of his pasture, and the sheep of his hand. O that today we would listen to his voice! O Almighty God, from whom every good prayer cometh, and who pourest out on all who desire it, the Spirit of grace and supplications; deliver us, when we draw nigh to thee, from coldness of heart and wanderings of mind; that with steadfast thoughts and kindled affections, we may worship thee in spirit and in truth, through Jesus Christ, our Lord. Amen. In the final petition of the Lord’s prayer we ask God to deliver us from evil. Martin Luther’s Small Catechism also refers to such protection from evil in Luther’s explanation to the First Article of the Apostle’s Creed where he says God, “defends me against all danger and guards and protects me from all evil.” That sounds good, but anyone with two eyes can see that God does not always protect believers. We are obviously not delivered from all evil. Christians also get killed in terrible accidents, Christians also suffer and die from all kinds of painful diseases, Christians also face wars and famines and persecutions and all sorts of evil. What does it mean to say that God guards and protects us from every evil? In his Large Catechism and also in sermons on this petition, Luther says much more about how we should understand the word deliver in the petition. Luther teaches that we must remember that God can deliver us in two ways. One way is to guard and keep and protect us in this life, delivering us in the here and now from whatever threatens to harm or destroy us. God often, but not always, does this. The second way is to deliver us out of this whole world of evil. Many things threaten us here, and someday, one of those threats will do us in and we will die. But even then, God will keep His promise of deliverance, as death itself then becomes the deliverer, becoming for us the doorway to God’s eternal home in heaven. Luther says in the catechism: “We pray here that our Father in heaven may deliver us from all manner of evil, whether it affect body or soul, property or reputation. And then we can know that even when the end comes, and the hour of death comes to us, God will grant us a blessed end and graciously take us from this world of sorrow to himself in heaven.” Therefore, Luther says, in the end God indeed delivers us from every manner of evil, because even when we die, death itself becomes the method of our deliverance. The petition ‘deliver us from evil’ can therefore be for us a either a huge PROBLEM or a wonderful PROMISE. It becomes a ‘problem’ when we take the short term view, because then we will see all kinds of problems with such a belief. Everyone could make a long list of things, saying, “Well, the Lord did not deliver me from this and he did not deliver me from that, so what is the matter with the Lord? He does not seem to be very good at keeping his promise.” But when we choose to take the long term view, we choose to have the faith that in the end, God will indeed deliver us from every evil for all time, when in death we join him in his heavenly home. The entire Bible is written with this long term view, this eternal perspective. This is the hope in which we put our faith. In the end, we will be delivered. In the meantime, we pray that we may keep the faith; or, in other words, that we may not give in to temptation (as we pray in the sixth petition). In his Large Catechism explanation to the sixth petition, Luther says that one of the most dangerous temptations is the temptation to lose the faith, and to fail to trust God. Galatians 1:3-5 — Grace be to you and peace from God the Father, and from our Lord Jesus Christ, who gave himself for our sins, that he might deliver us from this present evil world, according to the will of our God and Father, to whom be glory for ever and ever. Amen. The first petition of the Lord’s Prayer (after the introduction) is perhaps the most difficult to understand. We know what the other petitions mean when they ask for things like daily bread or forgiveness or help in times of temptation. These are things we might pray for on our own anyway. But what does it mean to pray “Hallowed be thy name?” That’s not the kind of phrase we normally use in our personal prayers. Martin Luther asks in the Large Catechism, “Isn’t God and His name holy in and of itself? What can our poor prayers add to that?” Why is this odd petition even included in this most perfect prayer? In the catechism Luther brings the meaning down to earth. Certainly God’s name is holy in heaven, Luther says, but it is on earth where it needs to be honored and respected and hallowed far more than what it is. How many times, Luther asks, don’t we hear God’s holy name used in a very unholy way, with all the cursing and swearing we hear every day? This petition is not for God’s sake, but for our sake, Luther says. We are praying, in other words, that we may keep God’s name holy; that we may live our lives in such a way that it brings honor, and not dishonor and disgrace, to God’s name. We are CHRISTians, we bear Christ’s name, and when we live our lives in ways contrary to God’s will for us, we dishonor that holy name of God. In this petition, says Luther, we are praying that God give us the faith and the strength to live our lives in ways that will bring honor to the name of the God we believe in. God’s name was honored by the work of those missionaries. 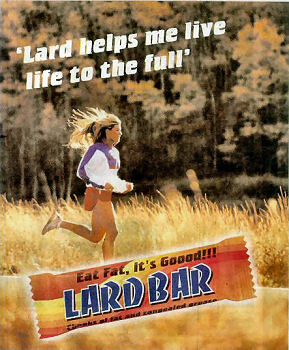 Saley saw that and became a believer. That’s what can happen when God’s name is hallowed. That’s how the early Christians were able to spread his message to all the world. In an otherwise corrupt and dying Roman society, Christians stood out as people of courage, faith, conviction, hope, and unselfish service to others. God’s name was hallowed among them, and others wanted to know this God. But this does not happen when the actions of believers dishonor God’s name by their lives and actions. Mahatma Gandhi was born a Hindu. However, he would not accept the injustices of the Hindu caste system. Instead, he admired Jesus Christ above all others. In his desire to identify with the poor, Gandhi had few possessions. He owned only one book– the New Testament. Yet, Gandhi refused to become a Christian. He said he would not become a Christian because of the Christians he knew. 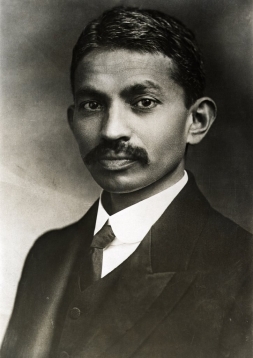 When Gandhi lived in South Africa, he was persecuted by ‘good Christians’ because of his dark skin. When he returned to his native India, the Christian British were in control of his country, and they opposed all of Gandhi’s efforts to bring peace and freedom and independence to his people. Gandhi, the Hindu who did not believe in Jesus as Lord, wanted to live by Jesus’ principles of forgiveness and love of their enemies and peaceful resistance. The British, who did believe in Jesus, responded with oppression and violence. God’s name was not honored or hallowed by the Christian British in India, and a great opportunity for evangelism and mission was lost. We bring honor or dishonor to God’s name by how we live. Philippians 1:27a — Whatever happens, conduct yourselves in a manner worthy of the gospel of Christ. By Fred Craddock, Craddock Stories, ed. by Mike graves and Richard F. Ward, Chalice Press, 2001, pages 110-111. I met a desperate woman the other day. I had gone to the hospital in Fannin County to visit someone else. I did not know this lady, and I didn’t know I would encounter her, but when I went down the corridor, I saw her. Her head was against the door, and both fists were up beside her face, and she was banging on the door: “Let me in, let me in, let me in!” I couldn’t imagine someone locking her out of the room. I got there, and it was the chapel door. I started to pray for her and for her husband, and she interrupted me. She didn’t just interrupt me; she took over. She started praying herself and stopped my prayer. I think maybe I was too quiet or too slow or saying the wrong thing or something. Anyway, my prayer wasn’t getting there, and she knew it. So she said, “Lord, this is not the time to take my husband. You know that better than I do, he not ready. Never prays, never goes to church or anything. He’s not ready; this is not a good time to take him. Don’t take him now. And what about me? If I have to raise these kids, what am I going to do? I don’t have any skills, can’t find any work. I quit school to marry him. If I’d have known you were going to take him, I’d have stayed in school.” She was really talking to God. “And what about the kids? They don’t mind me now with him around. If he’s gone, they’ll be wild as bucks. What about the kids? This is not the time to take my husband.” Whew. She was desperate the day before. She had God by the lapels, both hands, and was screaming in God’s face: “I don’t think you’re listening!” That’s desperation. Romans 8:26 — Likewise the Spirit helps us in our weakness. For we do not know what to pray for as we ought, but the Spirit himself intercedes for us with groanings too deep for words. Psalm 142:1-2 — I cry aloud to the Lord; I lift up my voice to the Lord for mercy. I pour out before him my complaint; before him I tell my trouble. Psalm 17:1-2 — Hear me, Lord, my plea is just; listen to my cry. Hear my prayer; it does not rise from deceitful lips. Let my vindication come from you; may your eyes see what is right. By Walter Sundberg, The Rose magazine, page 26, Spring 1999. When we usually think about prayer, we do not think about things such as we find in this Gospel passage. For most of us prayer means folded hands, bowed heads, stilted language— all taking place in church during worship, around the dinner table before the evening meal, or when we go to bed at night. In the Bible, however, prayer is a more wide-opened, undisciplined thing. Paul tells us in Romans that it does not even require words: as long as the emotion is there— the desire, the need, the sincerity— we can pray the sigh too deep for words (Romans 8:26). In this parable about the widow about the widow and the judge, Jesus explains prayer by illustrating nagging. Prayer, says Jesus, is nagging. I don’t know about you, but I know how to nag. Growing up in a household with two doting parents, and experiencing nearly 30 years of marriage, I have become an expert. When I get a bee in my bonnet— that thing I want or that task I wish someone to perform– I hammer away until I accomplish my goal. My wife also knows how to nag, as do my two daughters. I dare say that most of us are talented at nagging because we get so much practice at it. What is unusual is that Jesus uses this common, unattractive human trait that we all engage in from the cradle to our last days to describe our relationship with God. In the parable of the widow and the unjust judge, the woman is presented as wanting justice. She goes to the judge. The judge does not care about her one bit. But he cares about her nagging. He knows she won’t quit. And so he gives in. Jesus says that if a person can get that response from an unjust judge, just think what he can get from the Lord Almighty who has chosen His people and cares about them. I do not know of anyone who has explained prayer in this way. But it is not just anyone who is offering this explanation; it is Jesus Himself. What are we to make of it? I wish to say two things. 1) When I nag it is because I really want something. Prayer, insofar as it is like nagging, has to do with something that we really want. What do you really want? The widow in the parable wanted justice. It was fitting therefore that she go before a judge. So let me refine the question just a bit: What do you really want that is fitting to be brought before the throne of God? God is holy. God is good. God brings salvation and wholeness. God does not deal in hate or selfishness. He is not there just to help you in the piling up of your possessions. So I ask again: What is it that you really want that is fitting to be brought before the throne of God? Maybe what you want is not fitting for God. Maybe what you want is better asked of the devil who claims in the scriptures that he rules the kingdoms of the world (Matthew 4:8-9). 2) To nag is to be persistent. It is to have the motivation to a pursue a goal. It means that you won’t quit easily. Jesus is telling us that prayer is a matter of persistence. You have to keep at it: engaging the Almighty every day with beseeching, pleading, and confessing. But when you do that, there is a risk that comes along with it. The risk is that the Lord will engage you. When you start hounding heaven, the ‘Hound of Heaven’— as the poet Francis Thompson called God— may start chasing you ‘down the days and down the years.’ God has, after all, chosen you. He loves you. He wants you. God therefore may decide to use your persistent prayer for His purposes. He may open your heart and direct your desire to the things that He knows you need. Prayer can be a wonderful thing or a dangerous thing, depending on how you see the possibility of being engaged by God. If you nag in prayer, you might just be changed. If you want a relationship with God— I mean a serious relationship and not just a casual date— then nag Him in prayer. I dare you. O Lord, we know not what is good for us. Thou knowest what it is. For it we pray. She said, “You’ll have to dress yourself,” and she left the room. I don’t know if God distances God’s self from us, but I know sometimes we feel some distance. –Fred Craddock in Craddock Stories, page 97. There are those who say that if God loves us, He should answer our prayers. But we should recognize that sometimes it may be that God doesn’t answer our prayers because He loves us. The boy says he would like to just sit in the back of the room and make some drawings and sleep a little bit, and spend some time doing nothing at all. The teacher tells him that he can, and he is allowed to do exactly what he wants. 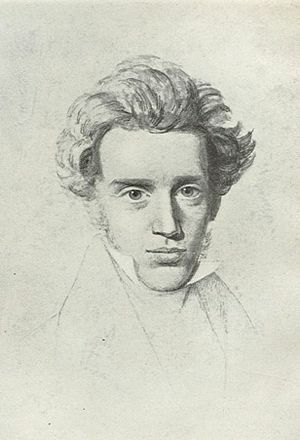 Kierkegaard ends the story by saying, “The boy got what he asked for because the teacher had given up on him.” He then goes on to say, “Beware when God answers prayer!” He suggests that we sometimes get what we want because God has given up on us. On the other hand, God may refuse to give us what we want because He loves us. This point is especially real to me because of an incident when my own father did not accede to a desperate request. I was about eight years old when I went to a Saturday matinee at the movies and saw a cowboy film about Hopalong Cassidy. I was so impressed with that cowboy hero that I went home and told my father that when I grew up, I wanted to be a cowboy. I really meant it! I was intense! I was passionate about it! 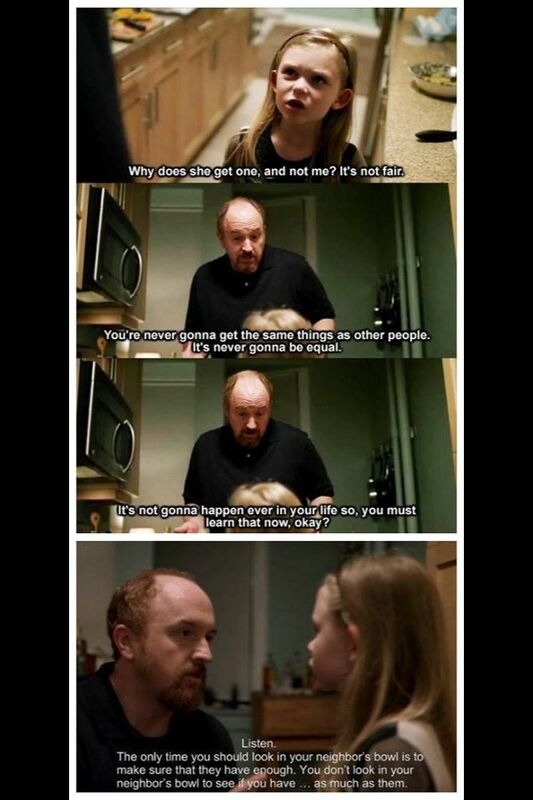 I’m glad to say that my father did not give me what I thought I wanted when I was eight years old, so that he might one day give me something I really needed. He didn’t want me to have what I though I wanted, because he knew, eventually, it wouldn’t be what I wanted at all. And so it is with God. Sören Kierkegaard also told the story of a boy trying to learn arithmetic. The teacher gives him a book full of problems to solve. In the back of the book there’s a listing of the answers to the problems, but the teacher instructs the boy never to look at the answers in the back of the book. Instead, he is to work out the answers for himself. As the boy does his homework, he cheats. He looks in the back of the book and gets the answers beforehand, finding it much easier to work out the problems if he knows the answers in advance. Kierkegaard points out that while it is quite possible for the boy to get good grades this way, he will never really learn mathematics. As difficult as it may prove to be, the only way to become a mathematician is to struggle with the problems himself not by using someone else’s answers, even if those answers are the right ones. It’s obvious that on life’s journey we are faced with problems, and we sometimes wonder why Jesus doesn’t just spell out the answers so that we know exactly what to do. That is what we might want. According to Kierkegaard, however, God doesn’t give us the answers because He wants to force us to work out the problems, and figure them out for ourselves. It is only by struggling with the problems as they present themselves, day in and day out, that we can develop into the kinds of mature people God wants us to be. When I was little, our family hit hard times and we didn’t even have money for groceries. I was just five years old, so I wasn’t sure what was going on — all I knew was that the cabinets were empty. On the day we ran out of food, a couple from Main Street Baptist Church in Hattiesburg, Mississippi, drove up to the house in a big car. We didn’t know them, and we didn’t go to Main Street Baptist (in fact, we weren’t even Baptists). They popped the trunk and began unloading bag after bag of groceries. I’m pretty sure it was summertime, but it felt like Christmas, especially when I realized they had gotten us Fruit Loops. I sat down on the couch and began looking over the box like it was a toy. Then after they finished delivering all of the groceries, they left, and we ate. I don’t know how they found out we were in need, and it doesn’t really matter to me. We needed some food, and I’m just thankful someone listened when the Lord nudged them to come through for us. When you think about it, we all have the opportunity to be the answer to someone else’s prayer today. Maybe they don’t need groceries, but they need some encouragement, a friend, an invitation, someone to listen. Maybe they don’t even know what they need — they’re just hurting and need someone like you or me to be present in their lives. Maybe we will be the evidence that Jesus sees them in their hurt and that He deeply cares for them. So many of us pray that God will use us in a big way. What if He wants to use us in a small way that will be big in someone’s life? Is that enough? If it is, then today is full of opportunities to love Jesus with an unexpected knock on the door, an open trunk, a box of Fruit Loops. Exodus 2:23b-25 — The Israelites groaned in their slavery and cried out, and their cry for help because of their slavery went up to God. God heard their groaning and he remembered his covenant with Abraham, with Isaac, and with Jacob. So God looked on the Israelites and was concerned about them.